Queen have shared their first ever Peel Session - a version of 'My Fairy King'. 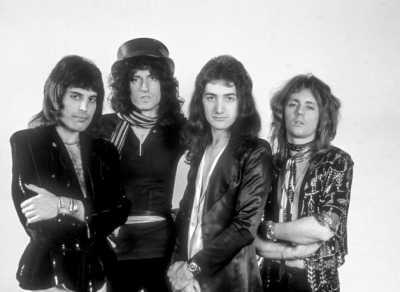 The legendary group recently went back through the archives, with upcoming release 'Queen On Air' presenting a number of rare radio recordings. Queen's first ever radio appearance was on John Peel's Radio 1 show, and the band have decided to share a recording from this momentous occasion. 'My Fairy King' is stripped down, for sure, but those essential Queen elements are all there: Freddie's incredible vocal, Brian May's lucid guitar, and of course that theatrical pomp. Brian May explains: "This was the first time we'd really seen Freddie working at his full capacity. He's virtually a self-taught pianist, and he was making vast strides at the time, although we didn't have a piano on stage at that point because it would have been impossible to fix up. So, in the studio was the first chance Freddie had to do his piano things and we actually got that sound of the piano and the guitar working for the first time which was very exciting. 'My Fairy King' was the first of these sort of epics where there were lots of voice overdubs and harmonies. Freddie got into this, and that led to 'The March of The Black Queen' on the second album and then 'Bohemian Rhapsody' later on." 'Queen On Air' will be released this Friday (November 4th).